Will there be another season of Supergirl? 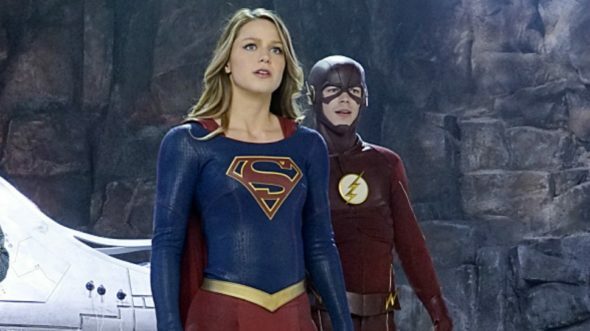 Recently, CW boss Mark Pedowitz discussed the future of the TV series, TVGuide reports. Currently in its third season, the DC drama stars Melissa Benoist, Mehcad Brooks, Chyler Leigh, Jeremy Jordan, David Harewood, Calista Flockhart, Chris Wood, Floriana Lima, and Katie McGrath. Season three of Supergirl returns on January 15th at 8 p.m. ET/PT. What do you think? Are you a fan of Supergirl? How many more seasons do you want? Lois & Clark: Could There Be a Reunion on Supergirl? It could be a great show, but they spend so much time shoving their radical liberal views down our throats that many people I know lost interest. My husband and I both have masters degrees and make six figures. The last thing we need is some uneducated liberals trying to push their views on us. Will do everything possible to educate others to not watch this garbage. This show is horrible. The above posts are obviously fake. No one I know, including women, seem to like this show. Why? Because it’s so fake, so bad, and for a show that is supposed to uplift and empower women, it borderline makes a mockery of them. This show is obviously catered towards feminists, but it does such a bad job of it that even they don’t really care for it. They like that it exists, but that’s about it. The rest of the show is poor quality. I, nor any of my friends, can watch it.